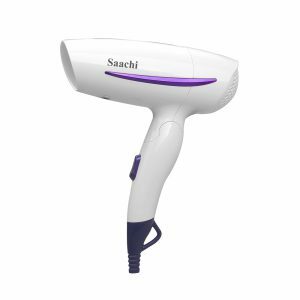 Drying your hair can never get easier with our professional hair dryer, suitable for all hair types. Drying your hair can never get easier with our professional hair dryer, suitable for all hair types. For styling and touch-ups, we’ve included two smart attachments that help you accelerate drying, add volume and minimize frizz. Drying your hair can never get easier with our professional hair dryer, suitable for all hair types. For styling and touch-ups, we’ve included one smart attachment that help you accelerate drying, add volume and minimize frizz. This Saachi Hair Straightener Brush can help you straighten your hair effortlessly with just a few strokes. Simply turn on the appliance and the ceramic base will be heated to the desired temperature, which can be easily adjusted and is shown on a digital display. The ions emitted by the brush help treat frizzy hair, giving you that ideal look you want for your night out. The Protective Tips prevent your scalp form any burns acing it an extremely safe appliance to use as well. This brush comes in 2 colours, purple and black. Clip, trim, define & shave! 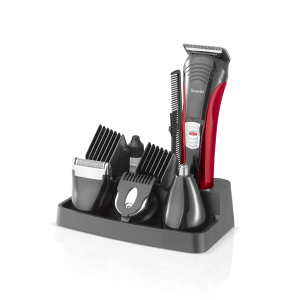 Get the look you desire with this 6-in-1 shave toolkit. Choose between 4 click-on/off attachments to get your look. The click & lock combs lets you easily change the length setting with the move of a finger. These attachments maximize your utility to trimming ear, nose and eyebrows for a smooth look. 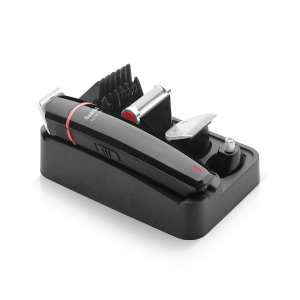 Get a smooth face and perfect stubble with this trimmer. Choose between 4 click-on/off attachments to get your look. 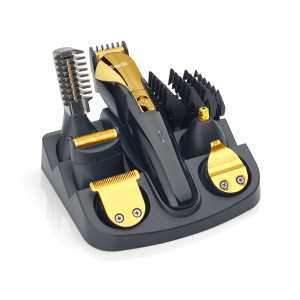 The click & lock combs lets you easily change the length setting with the move of a finger. The trimming attachments lets you customize your style to different lengths that you desire. Clip, trim, define & shave! 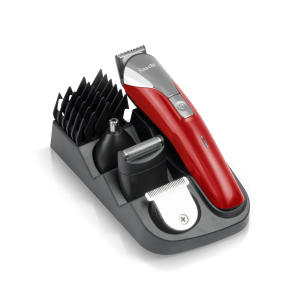 Get the look you desire with this 9-in-1 shave toolkit. The click & lock combs lets you easily change the length setting with the move of a finger. These attachments maximize your utility to trimming ear, nose and eyebrows for a smooth look. Clip, trim, define & shave! Get the look you desire with this 12-in-1 shave toolkit. The click & lock combs lets you easily change the length setting with the move of a finger. These attachments maximize your utility to trimming ear, nose, eyebrows and body for a smooth look. Clip, trim, define & shave! Get the look you desire with this 10-in-1 shave toolkit. 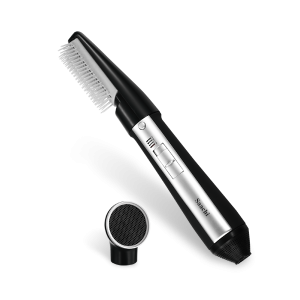 The click & lock combs lets you easily change the length setting with the move of a finger. These attachments maximize your utility to trimming ear, nose and eyebrows for a smooth look. Clip, trim, define & shave! 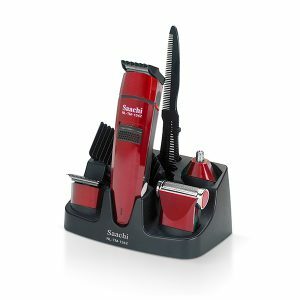 Get the look you desire with this 7-in-1 shave toolkit. The click & lock combs lets you easily change the length setting with the move of a finger. These attachments maximize your utility to trimming ear, nose and eyebrows for a smooth look. 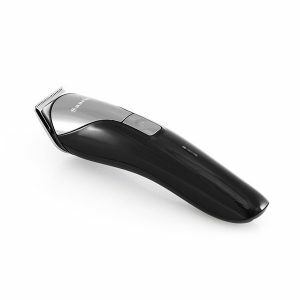 Get a smooth face and perfect stubble with this trimmer. 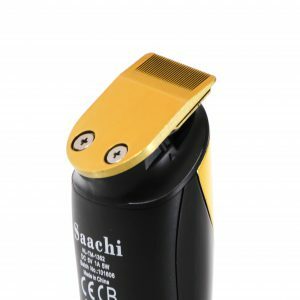 The click & lock comb lets you easily change the length setting with the move of a finger.